Are Your Leads Really Prospects for Sales? Content marketing is not really the new kid on the block anymore. It’s something nearly all marketers claim to practice. Even though there are still some that are creating content for content’s sake, the marketers who are successful are the ones who approach it with a strategy. This is no different than any other kind of marketing. You need to know what you are trying to achieve, how you are going to accomplish that, and how you are going to measure a successful outcome. That’s a pretty succinct way to thing about marketing strategy. You can certainly add more detail, but at the highest level, it works. 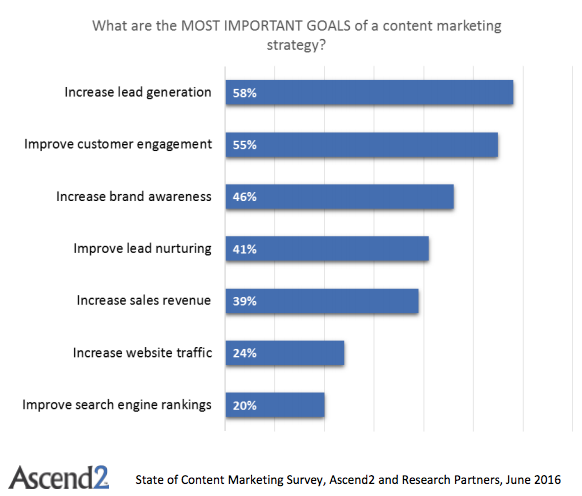 So what do all those strategic content marketers want to accomplish? In a recent survey by Ascend2, 58 percent of content marketers indicated that they want to increase lead generation. Sounds reasonable. 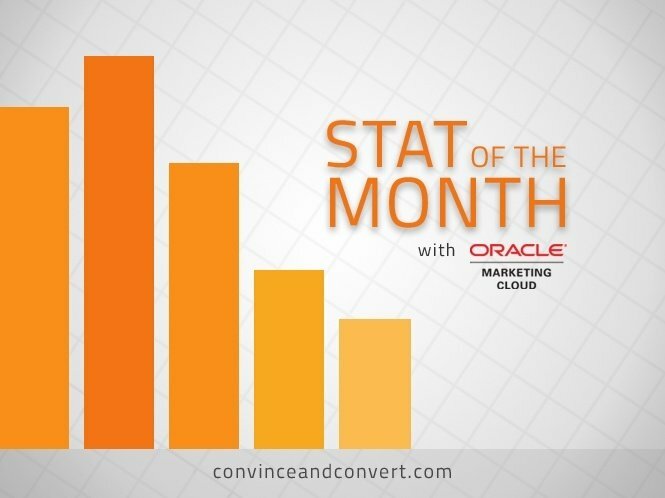 Marketers, especially those of the B2B variety, have always focused on generating leads for their sales counterparts. There’s no reason to think that would change with content marketing—and I would argue that it has gotten easier. Grab your time machine, and let’s take a trip back to Ye Olde Marketing Shoppe. Think of the days before most marketing had gone digital. Anyone remember reader reply cards? This was lead generation in a trade magazine, and it let buyers express their interest in products and services. It was top-of-funnel activity driven by advertising. We’ve all collected leads at trade shows, and we still do. But this is focused on buyers who have a specific need in mind. They are “in market,” as they say, for what you are selling. This makes it easy to connect with them, but this is small pool of prospects. Welcome, content marketing. Marketers now have the ability to talk to prospects before they are in market for a solution. Whether you focus on blog posts, ebooks, white papers, or videos as your primary means of content, if you are providing value and helping prospects solve their business problems, you can start building a relationship with them. Content makes the connection, and content builds the relationship. As Ascend2’s survey results indicate, marketers are thinking about this in the right way by wanting to increase lead generation. They can now get in front of prospects that they could not market to before, with a variety of content distribution methods. It may be a combination of search, social, or paid versions of both that can surface your content in front of the right prospects. Even if they are not ready to buy today, they likely will be someday. This is a very different audience than the digital tire-kickers who arrive at your website. But lead generation is more than just getting prospects to fill out a form. You may call them leads, but are they really? They might just be someone who is interested in the content but is not a fit for your products or services. A true lead is someone who can be passed to sales as a likely buyer. Lead scoring is one way to qualify these form-fillers, but it starts with creating the right content. Different firms use different terms to describe contacts that are added to their marketing database, and it can be based on how much information has been gathered about them. Someone can go from a suspect to a prospect to a lead as they interact more with a company’s content and express more intent about their preferences. This should not be accidental, but deliberate. It’s called lead nurturing. There are lots of ways to think about how content moves a prospect through the buying process, but consider having a narrative overlay. What story are you trying to tell the prospects as they move closer to becoming a real lead for sales? The more you understand your prospect, the better this narrative fits. Instead of viewing this as another marketing cliché, put yourself in the buyer’s place. You want to know about a company you will do business with. You want them to know what they are talking about and have a good reputation in the industry. You don’t want them to be pushy. You want to learn from them. You don’t mind keeping in touch, but you want to control the relationship and reach out when you are ready to consider buying. If you can create content that does that, then you are well on your way to real lead generation, not just form completion.